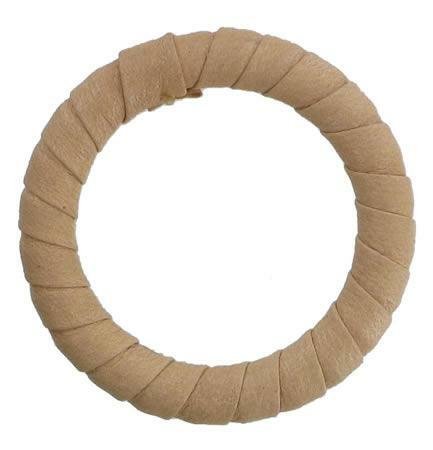 47mm Diameter Leather Bound Handbag Strap Attachment Ring in Beige. This range of handbag spares is designed for hand craft experts, gifted amateurs and professionals who repair handbags. This ring shaped handbag strap attachment (possibly by Radley) will accommodate a strap/ belt of up to 1 1/2 inch) 33mm in width. Overall diameter is 47mm. This version is spiral bound with a strip of good quality beige leather. As the ring is solid, some stitching will be required to attach it to your handbag.